I’ve briefly talked about mitochondria in the past, but I wanted to dive a little deeper into the function of mitochondria and why it’s so important for achieving optimum health and (anti-aging) longevity. 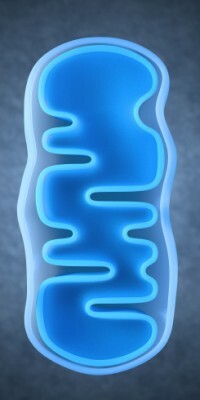 Mitochondria are tiny organelles found in most cells. It converts nutrients into ATP which is what our cells use to create energy. ATP is required for just about every metabolic function in your body. In a nutshell, mitochondria is your engine and how well it functions can determine how healthy and long you live. Dr. Wahl stated that the one consistent factor found in studies of mice with neurological degenerative diseases such as Alzheimer’s and Parkinson’s disease was the lack of mitochondrial health and function that they all displayed. This is why she decided to embark on a quest to find out how to stop mitochondrial decay and how to achieve and maintain healthy functioning mitochondria. One of the best (natural) ways to help increase mitochondrial production is exercise. When you exercise you deplete energy and stress your body, which is a good thing, because and in doing so it signals Adenosine Monophosphate - Activated Protein Kinase AMPK.